I didn't manage to get pictures of all the gift sets in this Snow Ball collection but did snap it on my instagram story so if you're not following me there, wyd??! The main stand pictured first above with the face powders, lipsticks and eyeshadows is what I checked out first; though the lipsticks had the limited edition packaging (which years ago I would have definitely collected), there was only one matte shade and it was red.. which I have plenty of already! If it was Ruby Woo I may have considered purchasing it for the packaging but I digress. 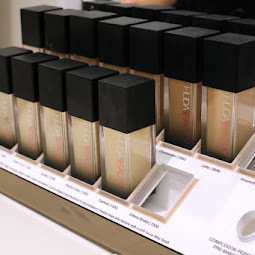 I swatched the face powders as they looked pretty but they weren't as pigmented as the highlighters of course which was my next point of call. I immediately had to swatch the limited edition Whisper Of Gilt next to Oh, Darling! that I snapped up as soon as it became permanent earlier this year and absolutely loooooove. As you can see, Oh, Darling! is definitely more of a deeper gold colour whilst Whisper Of Gilt almost has an lighter champagney shift to it and is definitely a lighter gold. 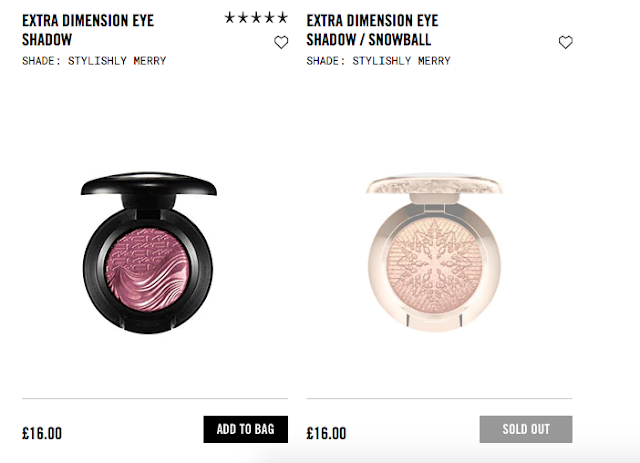 Show Gold is the other pinkier-gold, sparkly highlighter available in the Snow Ball collection (also with a snowflake design on it), but the store I went to didn't have it on display as Show Gold is part of the permanent Extra Dimension highlighters range anyway. I bought myself the Whisper Of Gilt gift set as I missed out on getting my hands on it last year in the Nutcracker holiday collection because it sold out before I could get it (it was in the Sweet Copper face compact duo). I'm kind of glad I didn't get it last year though as this year it's in full size (9g) and SO BEAUTIFUL with the snowflake design, whereas last year it was 4.5g in the duo with the blush which was also 4.5g. 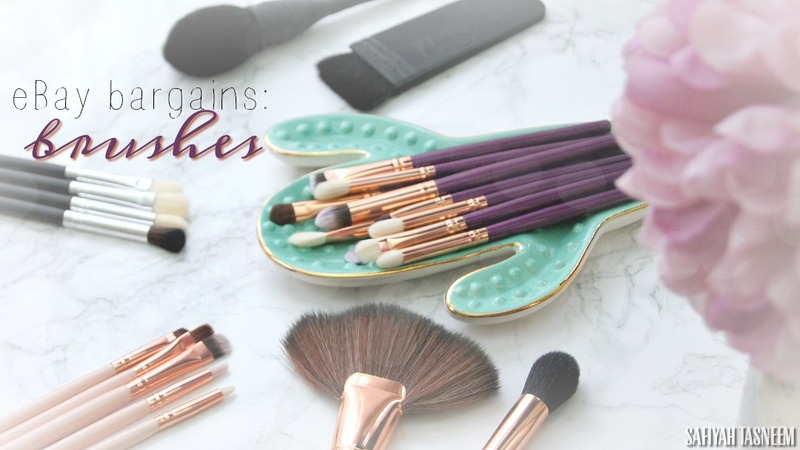 You also get a rose gold handled fan brush and cute sequinned makeup bag, all for £35 (here), which isn't bad as I love dense fan brushes anyway and anything rose gold of course, plus the fact this shade sold out so fast last year and is actually full size with a pretty embossed front.. I don't think I need to jusify it any further really! 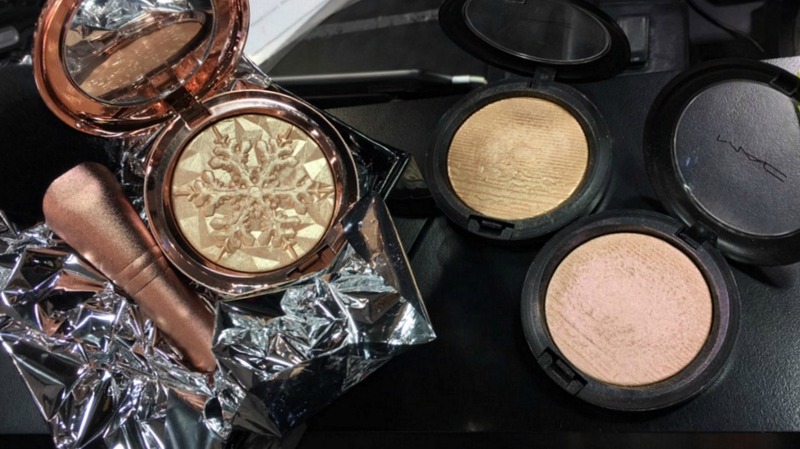 If however, you were to go for the Show Gold set, it is of course already in the permanent range of Extra Dimension highlighters which are £24.50, so for approx £10 more you get a fan brush and a sequinned bag.. which if you don't necessarily care about or the snowflake design then you're better off getting the normal Show Gold. 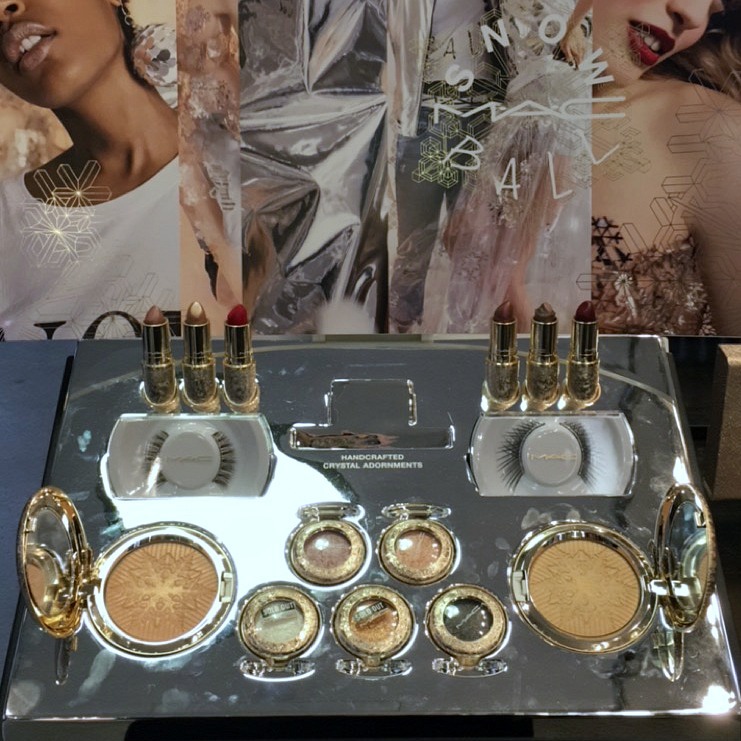 I went back to the main stand with the eyeshadows and noticed that two single shadows had sold out, which the lovely makeup artist Deirbhile explained to me had caused quite a stir online before it was even released, so I swatched them all and realised why. 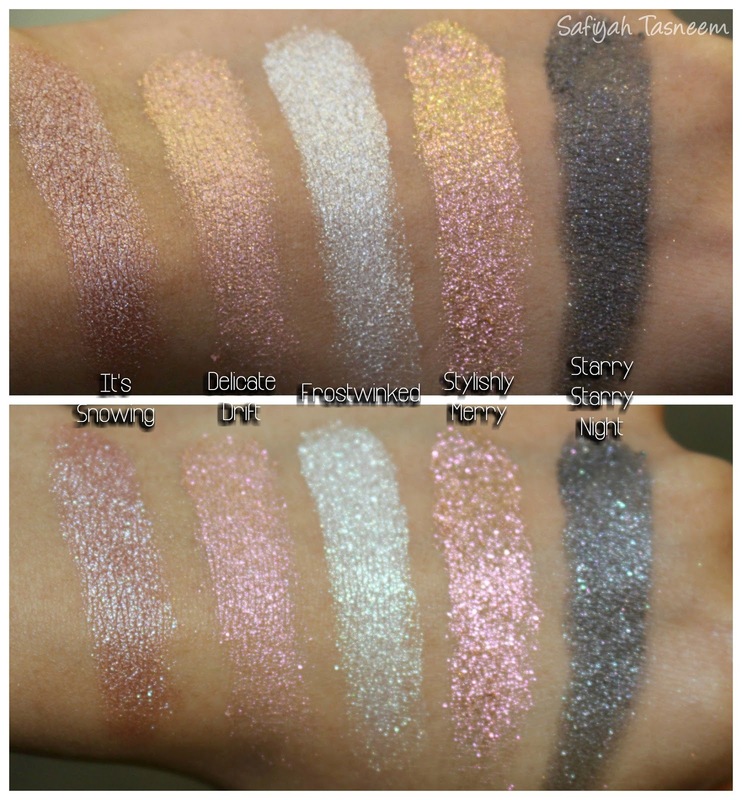 They're all "extra dimension" shadows which means they're smooth like a cream, blend like liquid and set like powder. Stylishly Merry is something so beautiful and other-worldly, even my pictures or instagram story videos couldn't do it justice. It's a multi-tonal, prismatic, magical pink-olive-gold and sparkles and shifts colour at different angles (see above for swatches with and without flash for some idea!). Delicate Drift was a less sparkly version of this but I just wanted Stylishly Merry and the lovely Deirbhile helped me try to locate it whilst in store at other places but to no avail. She did explain that there is another purply eyeshadow named "Stylishly Merry" too and to be careful if searching online to not make the mistake of ordering from the permanent eyeshadow range than the Snow Ball collection (see screenshot below). 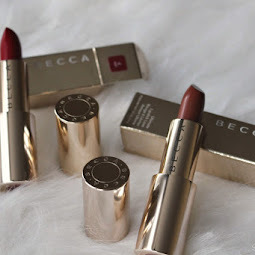 I ummed and ahhed about the 12 piece mini lipstick set (£85 here) and definitely would have bought it if I got my pro discount on it but as with most collections of course, it did not apply, so I thought I'd leave it and pray I either get gifted it or it still be available later on when I'm less broke lol. 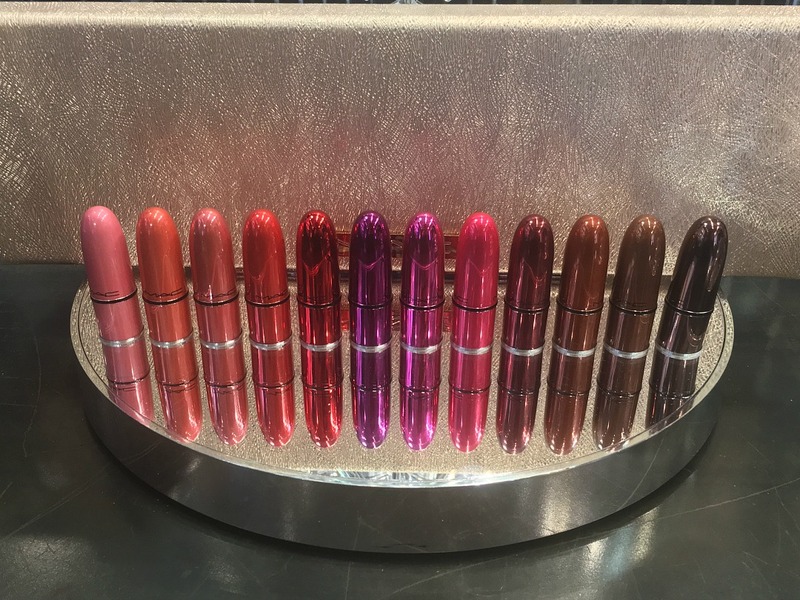 I do have 7 of the 12 lipsticks already tbf, but obviously not in colour matching packaging like these and most of mine are actually depotted in my kit so definitely not a pretty sight. 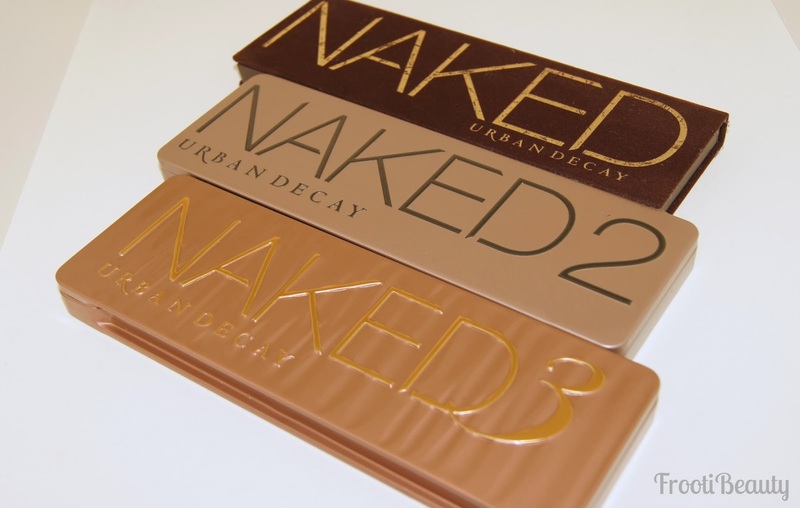 Anyway, I decided that I should leave it at that and be sensible but there are of course other sets including combination eye and lip sets and trios of mini mascaras, mini lipsticks, mini lip glosses and pigment/glitters, all of which would make amazing stocking fillers or birthday gifts all year round. 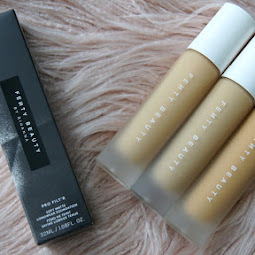 I already had at least one of the pigments in both sets or I would have probably bought one of those sets too, especially as I've never finished a full size pigment anyway! All in all, I'm quite happy with my purchase of Whisper Of Gilt but also can imagine myself only using this sparingly unless it becomes permanent like Oh, Darling! of course. Are you interested in this years Snow Ball Holiday Collection? What's on your wishlist? I wish Macs packing was genuinely was like that. It's so pretty. 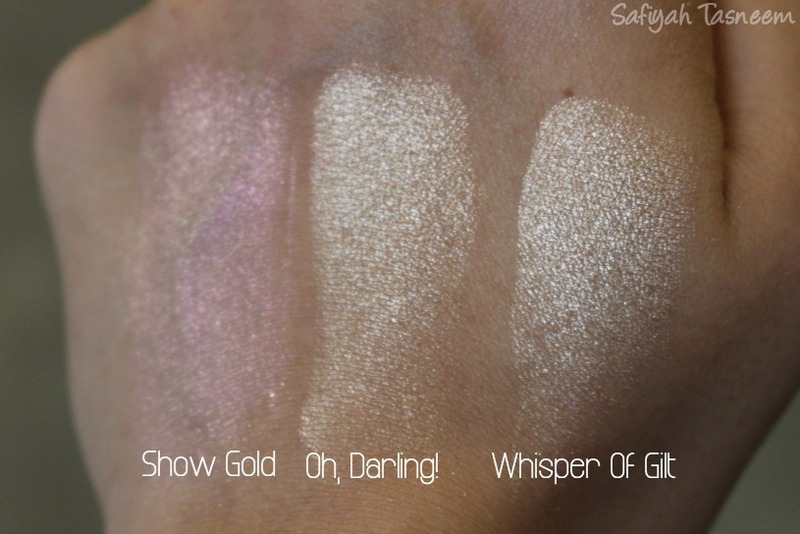 I defo need to purchase whisper of gilt, it's so beautiful and the eyeshadows. thank you hun for all your comments! yessss I wish it was permanently like this too, its SO pretty!